Who would have thought that a small and simple object that (can draw blood if squeezed into a finger but otherwise) appears relatively harmless could blow your entire estate plan? 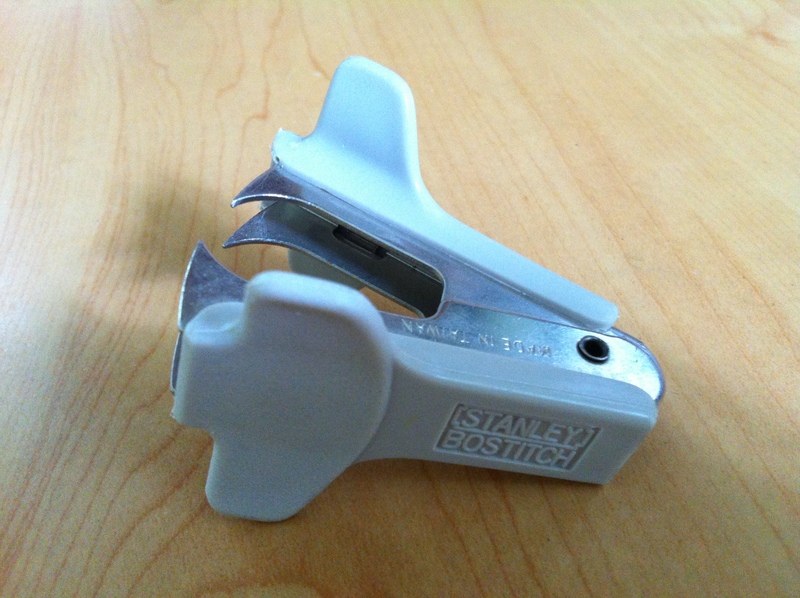 The common staple remover. An enemy of well-drafted last will and testaments and well-made estate plans nationwide. Never, ever unstaple a will. Never, ever, ever. And did I mention never, ever? Don’t do it! To drive home the point with a memorable comparison, I even have joked with some clients on occasion that unstapling a will is like having an affair. (I only say this when I am pretty well assured the joke will be properly received.) You can try to put it – i.e., the marriage or the will – back together again, but it will never go back exactly the same as it was before. There are always some holes that cannot be filled and some room for distrust that it is difficult to overcome. some room for distrust that it is difficult to overcome. Unstapling a will can call the entire document into question. Was a page added or removed? Is it a complete and properly ordered copy? Even if the pages are numbered and initialed, how can we (sometimes many years later) be sure that no one did an artful yet fraudulent switch of parts of the document he/she did not like? It is such a serious issue that, if a will is to be proven in probate court as the correct, complete and valid original last will and testament, there is a process of submitting an affidavit by the person who unstapled the will, discussing the reason for the unstapling, when and how it happened, and by whom. The court is understandably concerned that there was no foul play involved, and wills with multiple staple holes are regarded with suspicion. So what should you do instead, if you need a copy of your will? If you need a copy of your will, you should make a copy of a copy, not of the original. Or you can make a copy of the original without unstapling it, making sure that you do not damage any of the pages in the process. It’s not a good idea to have too many copies of your will floating around in any case, since you may wish to change it later and do not want someone with an older copy trying to challenge the later will. If you have any doubts, contact your local estate planning attorney before taking action that can have serious legal consequences to one of the most important documents in your legal life. So let’s not forget. I repeat: Never, ever unstaple your will! Never, ever! None of the information posted on this site constitutes legal advice or forms an attorney-client relationship. Previous Post: What is the Supplemental Register for U.S. Federal Trademark and Service Mark Registration? My deceased client did remove the staples. What kind of Affidavit can I provide the court to resolve the problem? The court should have a special affidavit that relates to the removal of staples that includes, for example, the circumstances, who removed them, etc. You should speak to the court clerk.